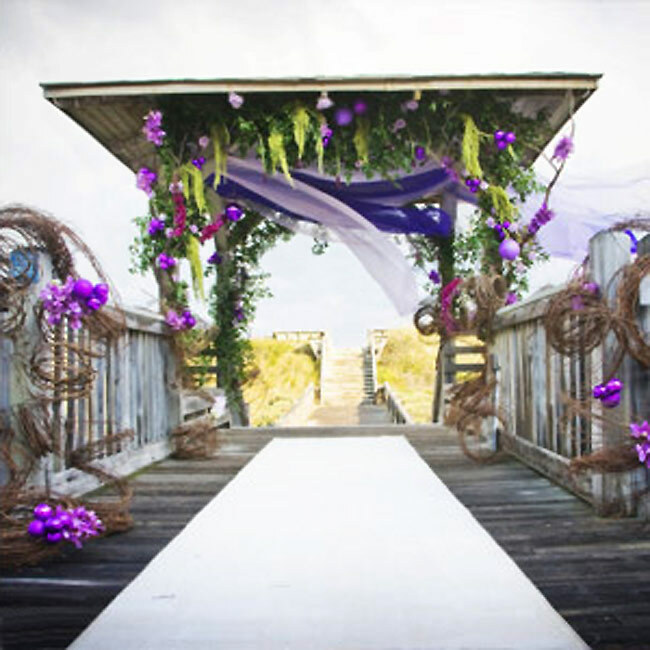 Even if you are thousands of miles from the coast, you can have your very own beach style wedding by turning your gazebo into a seaside bower. Decorate with sea shells and an aqua and sand color scheme. Use dark green ribbon for seaweed. You could even strew sand on the floor and be married barefoot. Almost any theme that you can think of can be applied to a gazebo wedding: a sport, the season, holidays such as Halloween, a cultural wedding, etc. However, the very simple structure of the shelter also means that it looks great for certain themes that might not be appropriate for an indoor setting. You can decorate it to suit a historical theme or a romantic fairytale wedding, or you can create the impression of a foreign country. 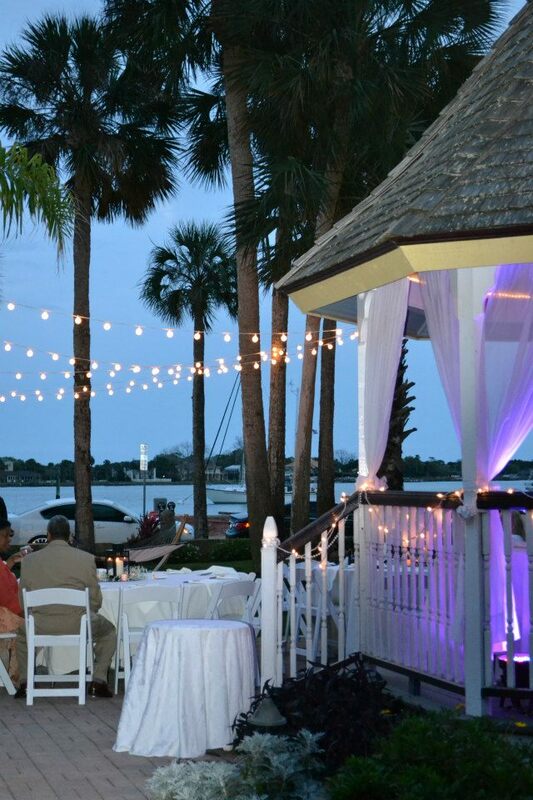 If your ceremony or reception will be held in the evening, consider how you will light the gazebo. Old fashioned style lanterns or lamps are ideal. You will want plenty of light for a ceremony and a slightly darker arena for dancing. Don't forget to have bridal flowers visible around the outside as well as inside, to give it that romantic touch from a distance. You can bring plants in containers such as rose bushes, flowering shrubs and small trees as well as bouquets, vines and trailing flowers all around the posts. If you can, have someone on a ladder arrange flowers on the roof too. You can use ribbons, crepe paper, light fabric such as tulle or net, satin and lace to give a charming, romantic and colorful aspect to your bower. You could wind alternate colored ribbons all around the poles in the style of a maypole, especially for a spring wedding. If you wish, you could cover the whole of the sides of the structure in colored fabric or paper in your color scheme to personalize the gazebo completely for the day. Just like with other aspects of the wedding the decorations will need to be planned. 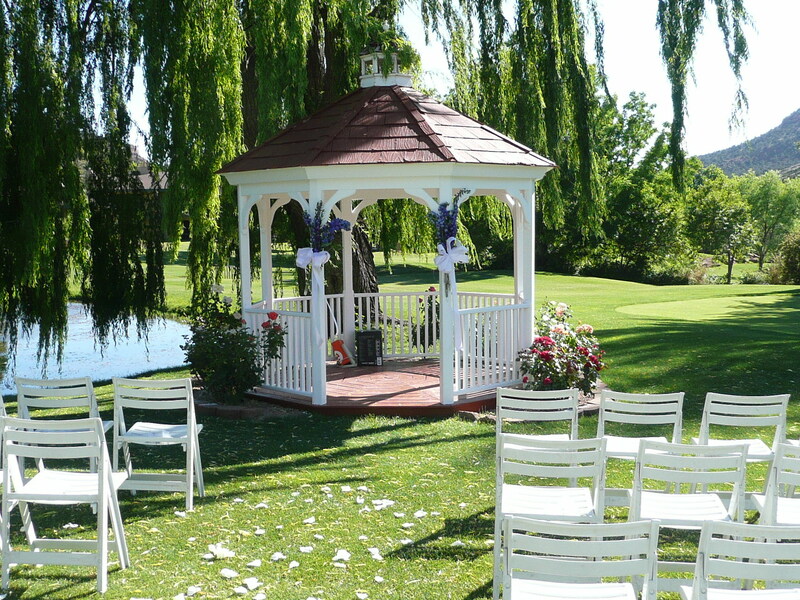 Take photographs of the gazebo or draw a sketch and add in your ideas. Measurements are useful too when it comes to buying materials. You will want to know how much you need of all the materials that you will use in your gazebo wedding decorations. Now I know that you are thinking, if I had someone to plan my wedding, I would not need to worry about this, but would you really want someone else making this decision for you?